I'm not normally one for dry shampoos (I know I know, stare at me in confusion! ), I've just never been overly bothered by them! Saying this, I recently saw that Aussie had just released some newbies into their collection and being a huge fan of theirs I thought it was time I gave dry shampoo another go! Now Aussie have released 3 different versions of this dry shampoo, mega instant, colour mate and a volume version and all in great large sizes. The only 65ml size available was the mega instant - which was fine with me! This dry shampoo is made with the classic Aussie Australian Jojoba Seed Extract ingredient and like all dry shampoo's promises to revive your dull, greasy hair into fresh, foxy locks that look and smell as clean as the day before! This fast acting high-speed clean has been working brilliantly for me as both a nice refresher and great aid in giving my hair a bit of oopmh and texture! Definitely helpful for those "messy" up-do's! The smell is so much nicer than other dry shampoo's I've used previously.... although it's an Aussie product so what did I expect? So... maybe I am converted, we'll see how it goes but so far I am surprisingly chuffed with it! This small can was £2.29 and the full size shampoo's are £4.99 each. I've been hearing so many good reviews about this brand I really need to give it a try! Kirstie, I cannot believe you don't use dry shampoo! With the LA heat and going to the gym it is a must for me! I hope you will be converted as it's seriously convenient. I love dry shampoo it is so handy, and I love the smell of all the Aussie products. 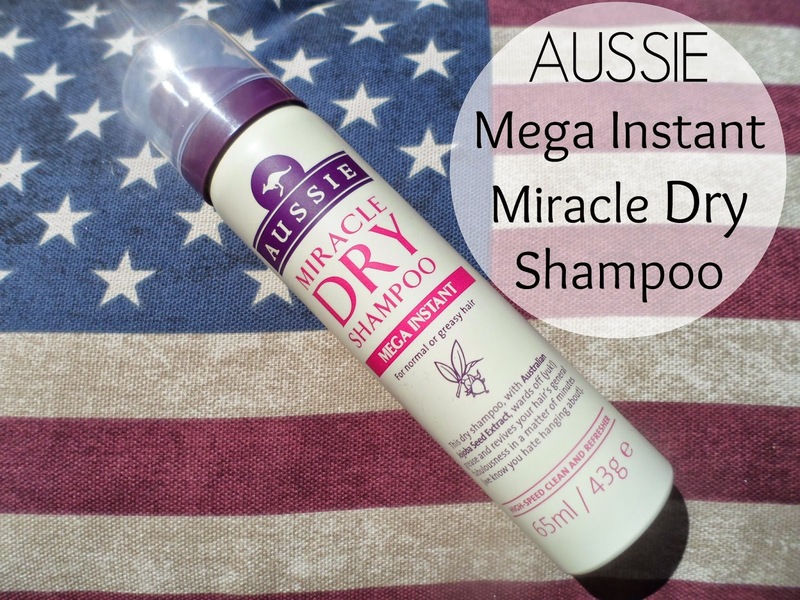 I love trying out dry shampoo and i can imagine the Aussie one to smell amazing, great review! This sounds great! I've never tried anything other than the Batiste dry shampoo, but I lahhhve Aussie - especially their conditioners! Needless to say, I'll be adding this to my basket very soon! This sounds really nice! I didn't even know Aussie had a dry shampoo available!